#139 Omastar used Rain Dance and Spike Cannon! Lukas from Switzerland joined Game-Art-HQ just a few months before we started our first Pokemon Tribute, but he was one of the first who joined it back in May. 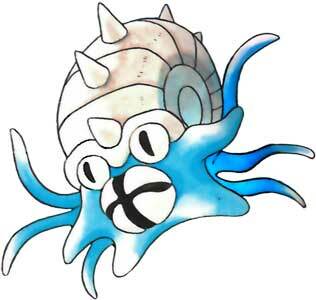 His submissions were Magneton as well as Omastar and the weird Porygon. Have a look at his whole gallery here and gift him a coffee! Truly a miracle worker, Rain Dance is a non-damaging Water-Type move introduced in Generation II as TM Move TM18. It has been TM 18 ever since. For Water-Type moves, the attack power and effectiveness will increase by 50%. For any Fire-Type moves, they will lose their power and effectiveness by 50%. Thunder-Type moves however can still be effective during the rain however. Also if it is already raining, the move is ineffective. KelpGull aka Erica is one of the newer Game-Art-HQ members and joined just a couple of months ago with one of her entries for a Legend of Zelda art collaboration. She participated in projects by other video game communities before and in the few months at GA-HQ she contributed four video game fan arts already with her take on Ivysaur being the first one and a really fun illustration of Peahat, an enemy in the classic Zelda being the currently last one ! The Spike Cannon move was introduced in Gen I already and hits the enemy with 2-5 strikes. 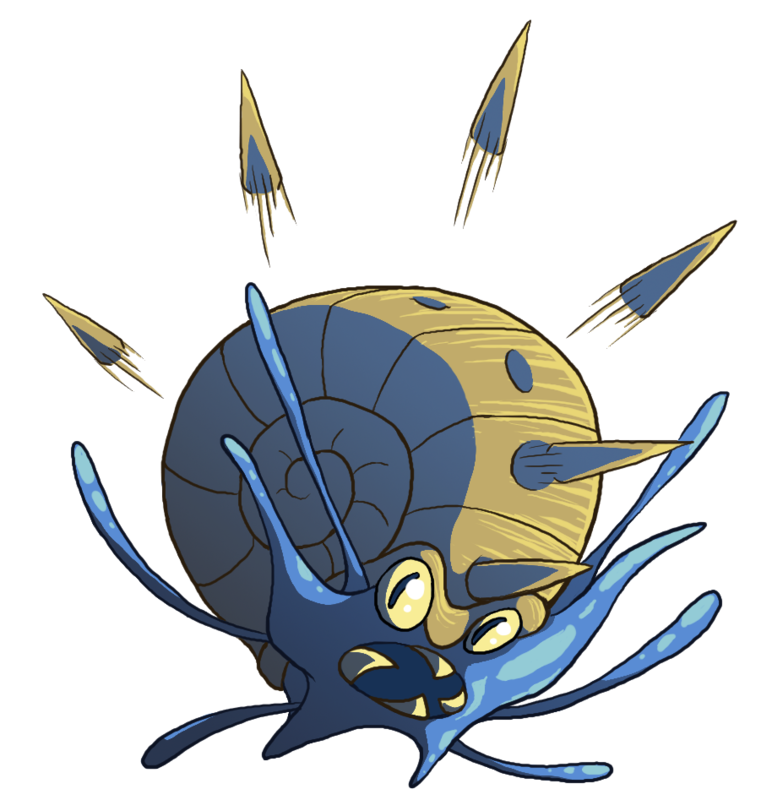 It has an accuracy stat of 100 and continues the attacks even after breaking a substitute. 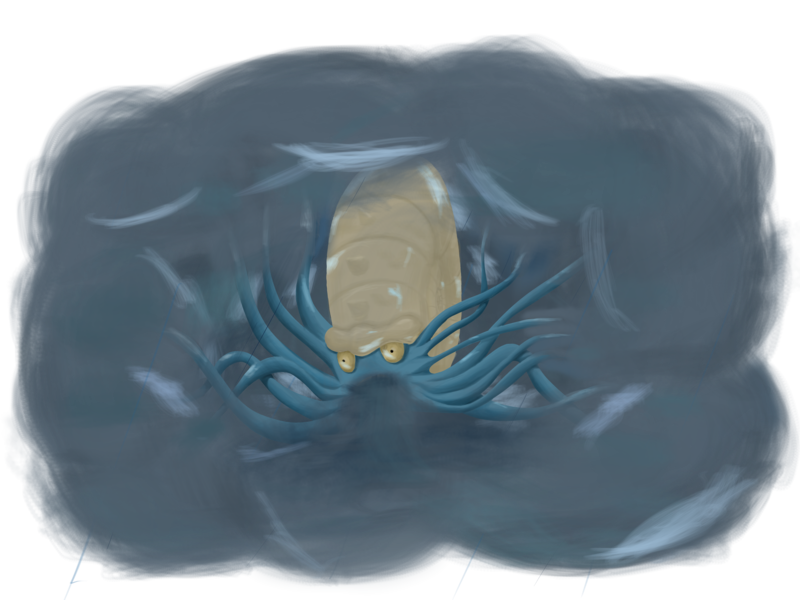 Omastar is like the Omanyte a dual-type Rock/Water Fossil Pokémon and got lost a long time ago when the Evolution chose to give them a so heavy shell that they were not able to catch any prey anymore.